There was to be another display at the same venue the following year. However, on the Saturday prior to the display I went to the Victorian Automobile Chamber of Commerce (V.A.C.C.) 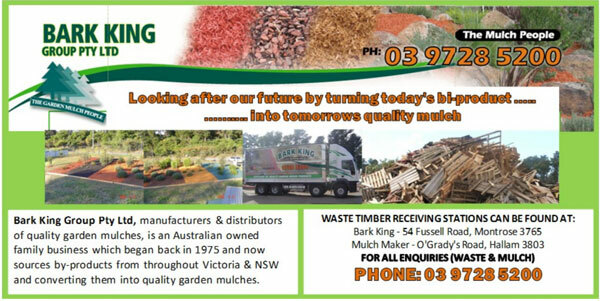 truck show at Sandown Park and picked up a leaflet to find the venue had been changed to Lilydale. Many hurried phone calls followed to the rest of the Bus & Coach group to inform them of the change. Ken West and I frequently met at the fledgling meetings of the Association of Motoring Clubs (A.O.M.C). Fred Coulson and I were invited to help organise the next display. Meetings were held at Ken West’s house in Warrandyte and started at 6-00pm. The committee meeting of the H.F.E.A. was held first, followed by the display day meeting. Consequently these meetings rarely finished before 2-00am. Nothing seemed to be happening about the formation of the Commercial Vehicle Club so Fred Coulson and I began requesting a copy of the list of interested people so we could organise a meeting with the view to organising a Club. We went as far as advertising the formation of a Club in the newspaper. The 1984 display of commercial vehicles at Lilydale was a disappointment to the H.F.E.A. people. There was a good display of buses and trucks with model displays and badge exhibitions in one of the pavilions; however, there were not many paying members of the public in attendance. The next display was planned for the M.S.T.E.C grounds in Wantirna. After the Lilydale display, Brian McCarthy, the H.F.E.A. secretary set about forming a Commercial Vehicle Branch. A meeting was held in November 1984 to organise the formation of the new Branch. There was to be a meeting to review this in June 1985, but a meeting took place in March 1985 at which 17 people gathered at the Boronia Fire Station for a Special General Meeting. Planning was well under way for the 1985 Display and Delsa Bury organised a group of member’s wives to handle the catering. Other people organised displays of model trucks, machinery, buses and the signs, toilets and the hundred and one other details that go into organising a display. Unfortunately the two things out of the control of the committee worked against us. The leaseholders of the land, Melbourne Steam Traction Engine Club and their neighbours had a row and the neighbour chained off their side of the entrance gate to the grounds. This made entry extremely difficult for the larger vehicles with poor steering lock to enter the display. The other problem was worse! It had rained heavily the week prior to the display and Glen Roothtooth was to deliver a bus from Mansfield to the display site on Saturday morning. Glen rang me to advise that the bus had not got halfway into the ground before it sank to the axles. This was the foretaste of what was to come. Fortunately Mac and Eddie Bedwell arrived at the display with a small crawler tractor. The tractor was soon put to work dragging the bogged vehicles, mainly buses, out of the mud. The public car park was across a flood plain and the public couldn’t get to the display without getting wet so ex N.S.W. double decker buses were used to ferry them half a mile down Mountain and Burwood Highways. The display was a success in spite of this. It was agreed that we look for a display site with hard standing. Barry Cooke who worked in the Dandenong area offered to approach International Harvester Trucks, as it was known then with a view to using their Carpark. Barry, Ken West and I went to International and introduced ourselves to Peter Murray, the Human Resources Manager. Peter gave the Club a great deal of support over the years we used International’s Carpark. The only constraint placed on the Club by International was that no other manufacturer could exhibit their new model vehicles. The first display at Dandenong was the start of a learning curve for the Club. Every year we tried new things, new layouts for displays and new attractions. Some things worked and some didn’t. International was in difficulties the following year and could not financially assist the Club. This was the same year that the Club decided that we should paint out the Magirus Deutz symbol on the roof of our new tent so as not to upset International. The Club developed good relationships with the management at International and one year we were invited to put on a display of historic International vehicles for their workforce to view. In return we were allowed to view their assembly facility. In 1986 the club "discovered" the South Australian "Bay to Birdwood" run and I arranged a coach tour for members and friends. With some 1200 entrants, it was a sight to see. Many members have made the effort to travel to Adelaide, some in their Historic Commercial Vehicles, for the event in subsequent years. The "Picnic at Hanging Rock" event started in the mid 1980’s and this gave us another event to attend, as have the Thorpedale Potato Festival, Hoddles Creek Draught Horse Festival and the Lake Goldsmith Steam and Machinery Rallies. The Melbourne Steam Traction Engine Club Annual Rally is another event that in some years we have been invited to attend. Each year since the first Annual Display of the Queensland Historic Commercial Vehicle Association, one or more Historic Semi-trailers have taken a full load of restored trucks to Brisbane to attend their show.